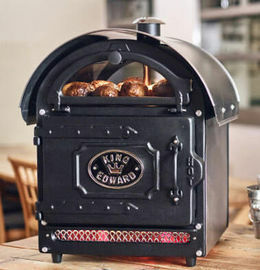 The most recent extension of the King Edward collection is a range of four highly efficient, countertop pizza ovens, encompassing the handmade British quality and highly visual appeal that King Edward are renown for. All models are thermostatically controlled up to 350C, with independently heated cordierite pizza stones for the perfect cook every time. The double glazed doors allow viewing of the illuminated cooking and storing cavities. Contained in a compact, countertop unit that will look great on the counter and work as a ‘silent salesman’ to promote the sales of pizzas to your customers. 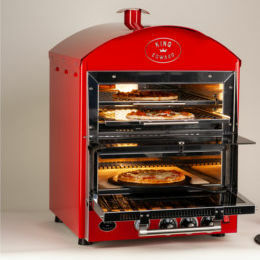 All models are thermostatically controlled up to 350C, with independently heated cordierite pizza stones for the perfect cook every time.